Trauma has the power to destroy and devastate but it also has the power to transform and heal. When you think of the word trauma, what do you think of? Do you think of death and destruction? Do you think of floods, earthquakes, tornadoes, and fires? Famines, poverty, plane crashes, and shootings? Bullying, domestic violence, neglect, physical and sexual abuse? Of course, those are trauma-related situations, threats of harm to the self but emotional trauma also develops out of psychological threats to the self like being psychologically mistreated, being rejected by others, or being neglected and disregarded, feeling like you don’t belong, like you don’t matter. How about being told over and over that you were selfish for asking for something you wanted or needed so you stopped asking and believe that you should not ask for what you want or need from anyone? How about being disciplined in a way where you could not share your feelings because feelings were not acceptable, and now when your spouse or child ask you to share, you don’t know how. What about feeling so different from your classmates when starting school, you decided that something was wrong with you, so you masked who you really were, and now as a grown up, feel completely disconnected? These are examples of emotional trauma. Children, adolescents, young adults, parents, and older adults experience emotional trauma and can show signs of emotional trauma physically, in thoughts, in feelings, and in our actions. Trauma causes an alarm activation in the body before conscious awareness, processing, or interpretation. We fight, take flight, freeze, or faint when met with a threatening situation. The body reacts by dilating your eyes in order to make your vision extra sensitive so that you can perceive danger better. Your lungs start working harder to bring in more oxygen so that your circulatory system can pump up your muscles to fight or flee. Digestion stops and the blood flow decreases from digestive organs and your brain to increase that blood flow to your major muscles causing stomach aches and fogginess, difficulty concentrating, and digestive issues. Your heart races to supply that oxygenated blood to those muscles. Endorphins are released which can cause shakiness, sweating, and tingling. Your limbic system has already begun to work and before you can name the feeling that you are having, neural impulses have activated fear responses that can change into anger or dread. Your conscience starts to do its job, making sense out of the internal physical symptoms, feeling impulses, thoughts, and external cues. This can result in hyper-focusing on negative thoughts or a target in your immediate environment resulting in fighting or fleeing types of behaviors. Next thing you know you are crying, yelling, running away, or losing control of your body. Sometimes the conscience doesn’t know what to do with all that information and just wants to make it stop so we suppress unpleasant feelings, ignoring, and avoiding, making it all go away for a little while. If we do not process the trauma, release the energy, get our bodies back into an integrated calm state, self-soothe, make sense of the experience, find safety and security, those experiences can result in emotional scars and wounds that not only resurface when triggered by a thought, memory or environmental cue but begin to dictate the way we live our lives, the choices we make, the beliefs that we create about ourselves, others, and the world. Unresolved trauma can prevent us from living our best lives. Hundreds of thousands of children experience trauma in the US. each year, growing up with chaos, neglect, and threat, being abused, terrorized, humiliated, degraded, or maltreated in some form or fashion (Perry, 2006). Due to this maltreatment, these children “do not have the fundamental developmental experiences required to express their genetic potential to self-regulate, relate, communicate, and think,” (Perry, 2006). Childhood traumas can be denied, suppressed, and ignored due to not knowing how to handle the experience and not being taught how to process and resolve the trauma. Emotional traumas that have not been resolved will re-surface. They show up in much the same way that they were experienced physically, emotionally, and psychologically. The same physical symptoms can return. Intrusive and unwanted thoughts can happen. And, the desire to fight, flee, freeze, or faint can return. All of these feelings, thoughts, and physical symptoms can lead you to pain and suffering, wondering what is going on and why this is happening to you. Know that these are signs of unresolved trauma. 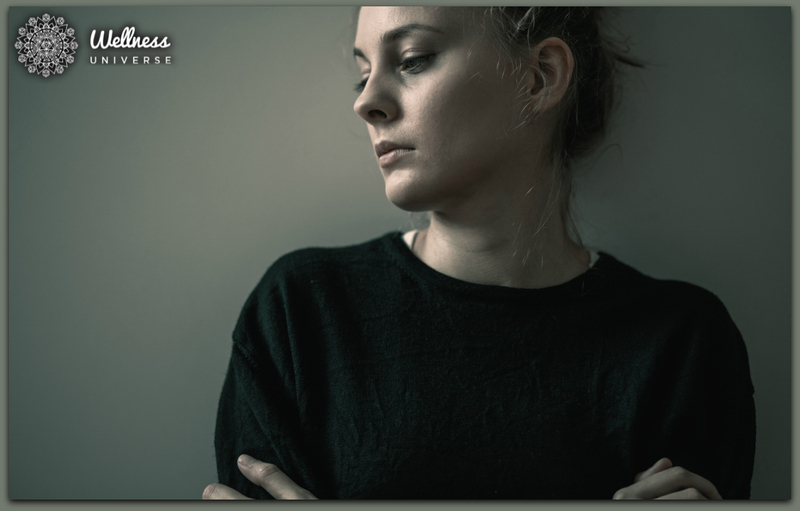 Unresolved traumas tend to re-surface when you are met with an experience that reminds you of the trauma, on anniversaries of traumatic events, and around the people or situations involved in the trauma. Unresolved childhood traumas can re-surface in surprising and unexpected ways, starting with those old physical and emotional feelings, negative thought loops, or self-defeating beliefs, creating problems with daily self-care, work, friendships, committed relationships, and with parenting your child. You can heal from emotional trauma. There is a multitude of ways to heal from trauma from self-care to psychotherapy, to group work to resolving your past with healthy current relationships. Join Wellness Universe Experts Elizabeth Kipp, Dr. Patrick Williams, Jennifer Whitacre and myself on April 17th at 2pm EDT for insight, tools, and resources on How to Cure Yourself of an Emotional Trauma, so you can heal and live your best life. We have created a safe space to discuss this topic with 4 Wellness Universe Experts. Our goal is to help you heal from your emotional trauma and have health, well-being, and joy in your life once this trauma is realized and released. How did this article make you feel? Leave your comments for Catherine below. Please share this if you liked it. Thank you! Catherine Gruener, LCPC, NCC, DCC, PDTC. Catherine is a multi-certified and licensed clinical professional counselor, nationally and internationally known for her parent training programs. She is the owner of Gruener Consulting and the Chief Executive Officer of the Encouragement Parenting Division. Previous articleEmotions Are Felt in Your Body: Find Them!